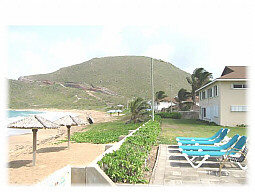 My home-away-from-home is on St Kitts. A beautiful, unspoiled Caribbean island. 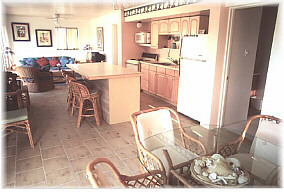 I have made my condo one I could live in year round, so you will find everything that you may need, including beach towels, food processor, board games and books. 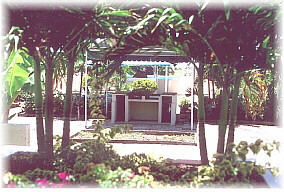 The complex is set in 5 acres of lush gardens, and seconds away from the beach. There is also a freshwater pool, with shower. Ideal for 2 couples sharing. We offer you our home. Ocean location. 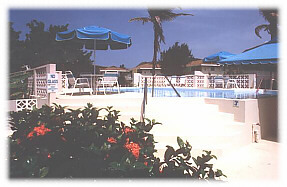 On the Atlantic beach, within five minutes walk to the Caribbean beach. Both are white sand. Management office that will book tours for Rainforest, volcano hikes, Island tours, cars - they are there to help you. Scuba diving lessons and charters near by. 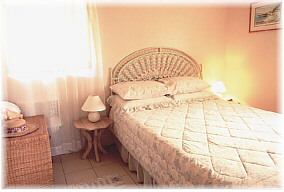 There is a restaurant on site, and you are within minutes walk to other restaurants. Helpful friendly staff. Maid service not included, but can be arranged through the office.